When I get together with couples for engagement portraits, I look at it as though I’m sort of a third wheel on a date and so I’m throwing out date ideas such as drive in movies, water parks, renting a boat on the lake, a walk through the zoo, etc. 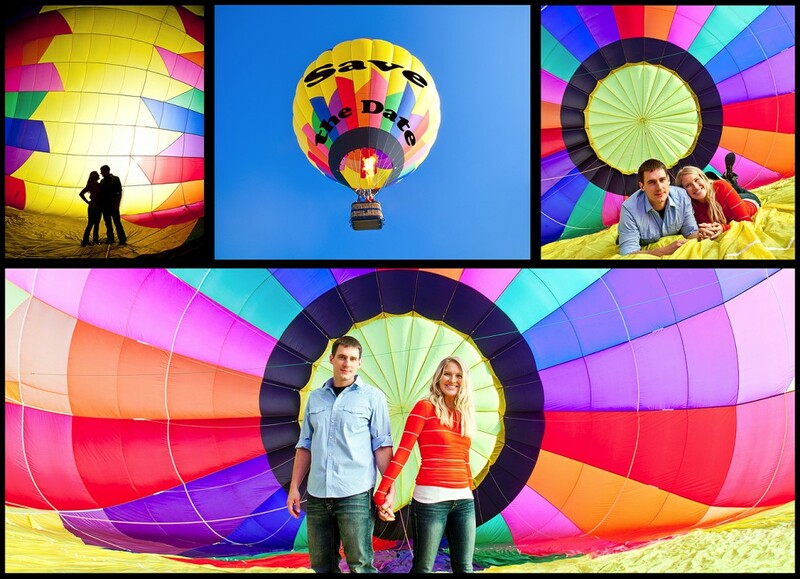 For years I’ve mentioned hot air balloon rides as a possibility but Jacob and Kendra were the first couple I was able to talk into it. Julien Tune of Nashville Balloon Charters picked us up one morning in his most colorful balloon. 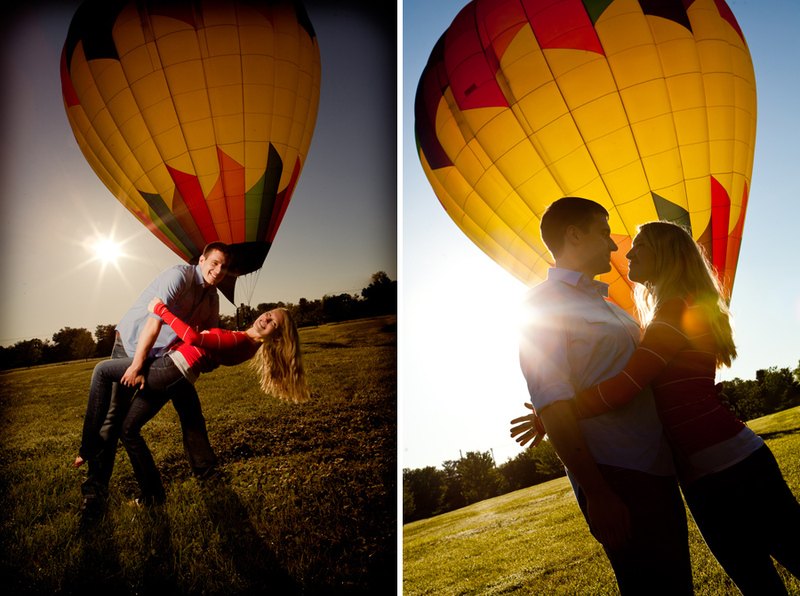 Before lifting off with Jacob and Kendra, he allowed us to shoot inside the balloon while it was partially inflated which made for some beautiful and unusual engagement portraits! We got a ton of fun silhouette shots. It was really windy in there since a powerful fan was keeping the balloon inflated. This is what Jacob and Kendra used for their “Save the Date” cards!